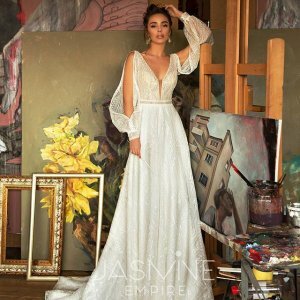 For the past 10 years the trademark "Jasmine Empire" work with wholesale wedding dresses. 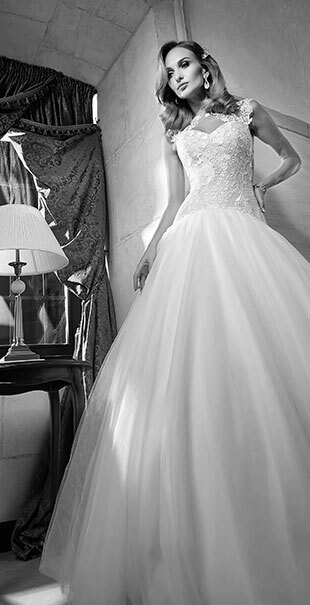 Our company gives an opportunity for every bride to feel like a real queen putting on a wedding dress. The main key to success is the ability to create models with a unique design using high-quality fabrics and lace from the popular world companies. «Jasmine Empire» is the place where the most original ideas are created and transformed into masterpieces thanks to the real professionals. The bride's dress should not only have a beautiful decor, but it must have an incredible lightness. This is the main idea we believe in when making collections! Today all products of the trade mark «Jasmine Empire» are available in such countries as Poland, Ukraine, Russia, the USA, Kazakhstan and Belarus. You can also find them in other countries of Europe and Baltic. The team of professionals works with each model of dress using a modern equipment. The production technology is on a high level, moreover, there are several stages of quality control. The trade mark «Jasmine Empire» avoids implementing someone else’s ideas. It has its own unique style, therefore all models have such a beautiful design. We use the original lace, chantilly, macrame. 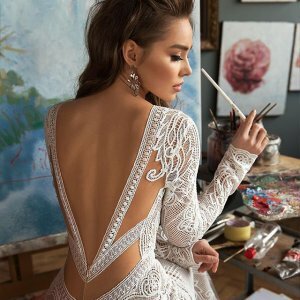 We also decorate our dresses with «Swarovski» stones, crystals, pearls and beads of different sizes and shapes that makes each detail so elegant. Our professionals create handmade accessories using different materials with the highest level of quality, that’s why they are so unique. 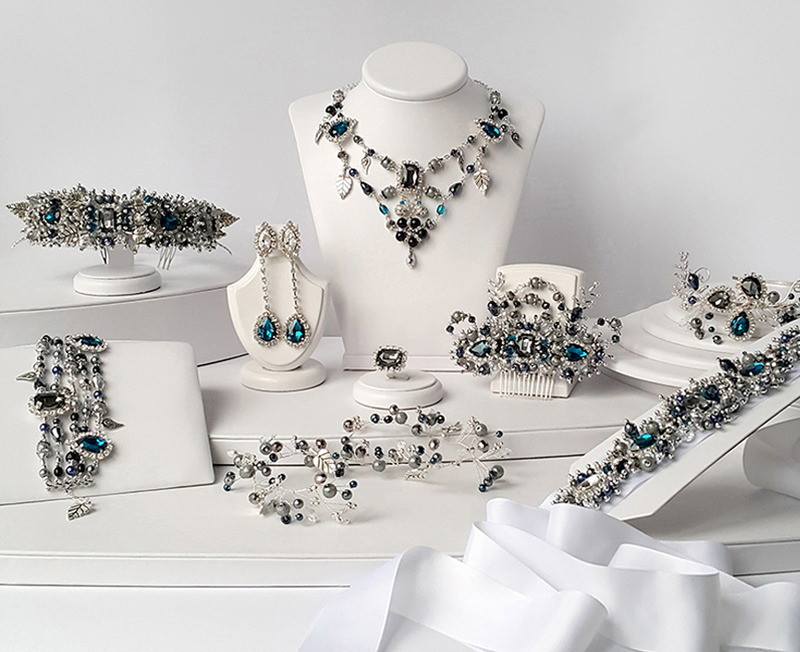 Amazing brooches and tiaras for the hair, earrings and necklaces, gorgeous bridal veils for brides - that is what we create, to give women special elegance and splendor. Each line and silhouette of our dresses, create charming image of a bride which enchants from the first sight. 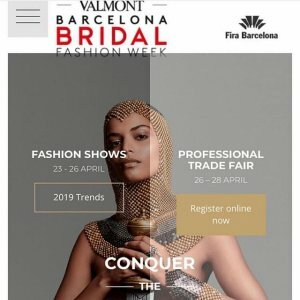 The ability to combine the traditions and the latest trends in wedding fashion helped us to conquer many hearts of brides. 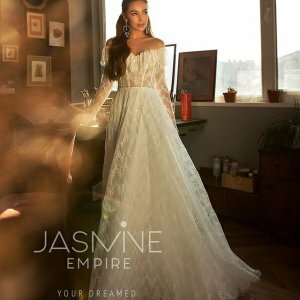 The European manufacturer of wedding dresses and accessories "Jasmine Empire" is the company which makes the bride dreams come true. We work for a perfect result! The best inspiration for us is the happy, smiling brides! Your sincerely, the leadership of the company!